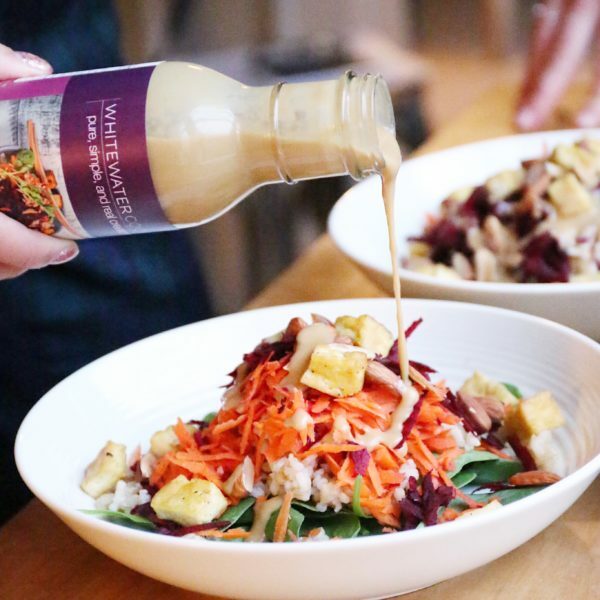 A creamy tahini and nutritional yeast flakes based dressing that has become famous and is TRULY addictive! It is excellent on the well known Glory Bowl recipe found in ” Whitewater Cooks, pure, simple and real creations” cookbook. It is also a very popular menu item at Whitewater Ski Resort in Nelson, B.C. Glory Bowl dressing is also delicious on all vegetables, salads, rice dishes, noodles and well…… just about everything!